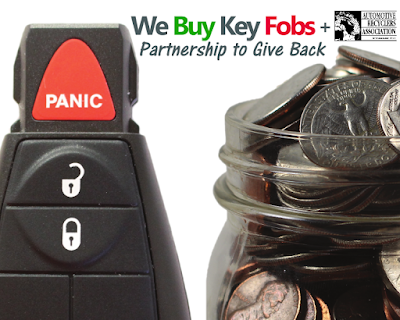 For every key fob purchased from an ARA member, We Buy Key Fobs will contribute a percentage of the purchase value back to ARA to help support association programs that defend and promote the Professional Automotive Recycling Industry. ARA's partnership with We Buy Key Fobs continues to grow and provides a unique opportunity for ARA members while also giving back to the Association. Founded in 2011 in Omaha, Nebraska, We Buy Key Fobs sets itself apart by focusing on customer service and has been active in the ARA for several years. "We are proud to partner with We Buy Key Fobs, a strong supporter of ARA and the Professional Automotive Recycling Industry", says ARA CEO Michael Wilson.